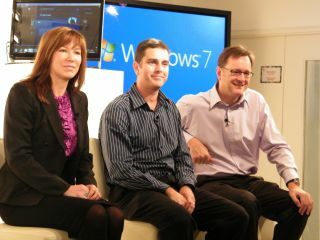 This week has been Windows 7 Week on TechRadar with a wealth of news, reviews, tips and tricks to help you get the best from Windows 7. Also this week, Apple snuck in ahead of the Windows 7 launch and announced a 27-inch iMac and a new MacBook, Nintendo is dropping a Black Wii into stores in time for Christmas, and Microsoft banned unofficial Xbox 360 memory units. Unsurprisingly, our Windows 7 Home Premium review was popular, while in the world of mobile phones we had the Sony Ericsson Satio, the HTC Tattoo and the Sony Ericsson Aino reviews clocking up hits. And camera buyers were loving the Canon EOS 7D review.